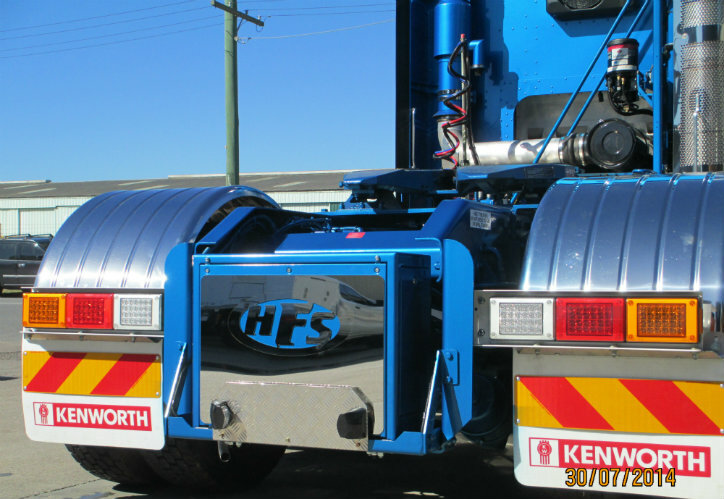 Geoff Richards Transport took delivery of a New Kenworth SAR, sold by Brown & Hurley Darra. 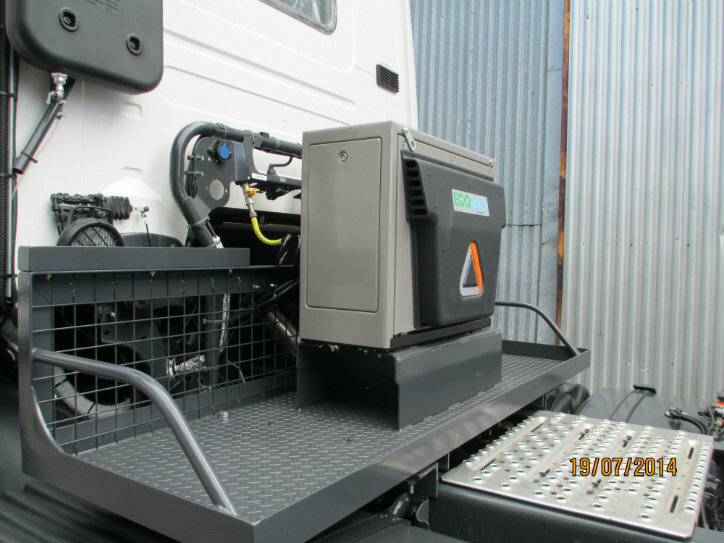 This vehicle was fitted with a Rear mounted custom painted, Ecowind Fully automatic Diesel Powered sleeper Cab cooling system alongside our Lubecore single line Pneumatic Automated lubrication system. 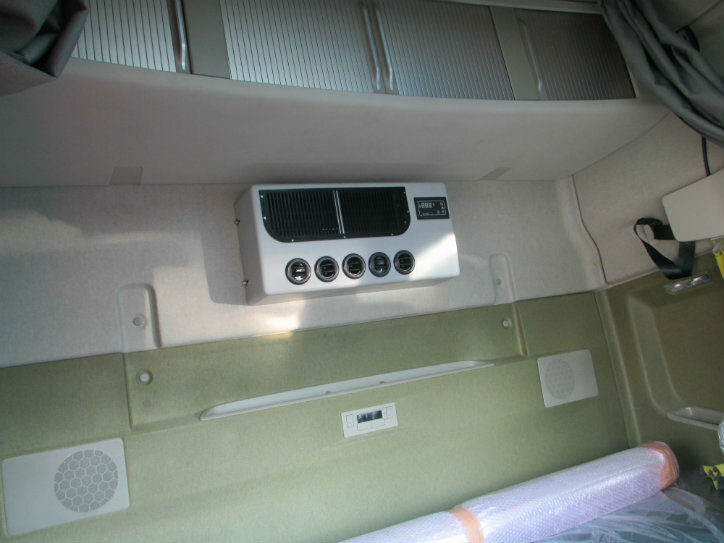 The vehicle had some Geoff Richards custom stainless steel installed to finish of the system, after these photos were taken. 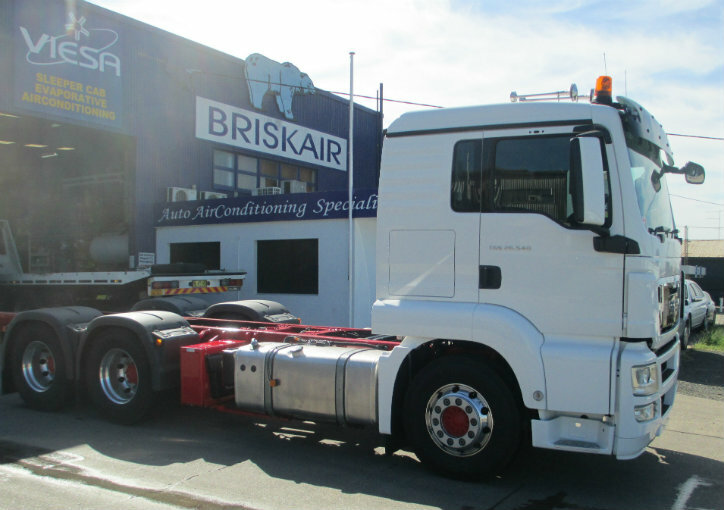 Many Thanks to Geoff, BJ, Jake and all the team at Richards Transport. 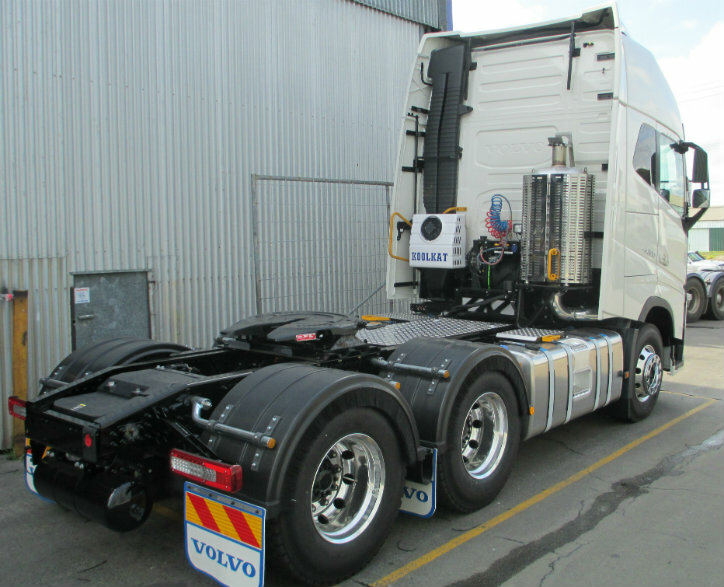 Hernes Freight Service from Lismore NSW, Purchased 2 Volvos this year from Southside Truck Centre Coffs Harbour/Lismore. 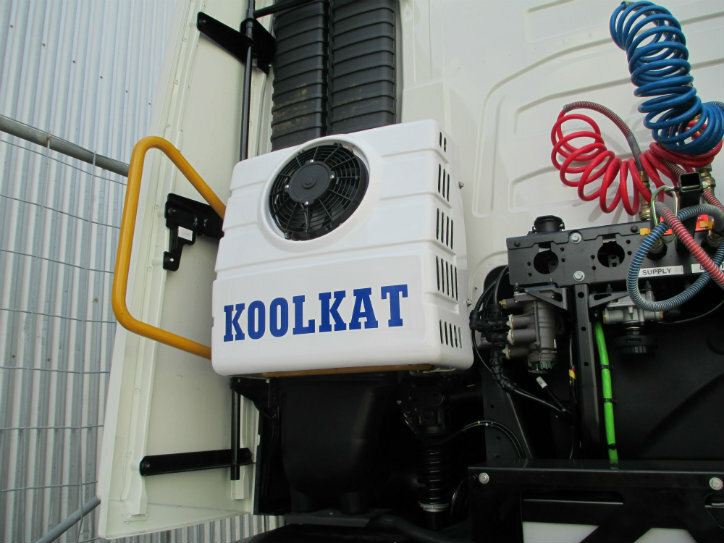 Briskair supplied & Installed 2 x KoolKat 24v Electric Split A/C Systems. 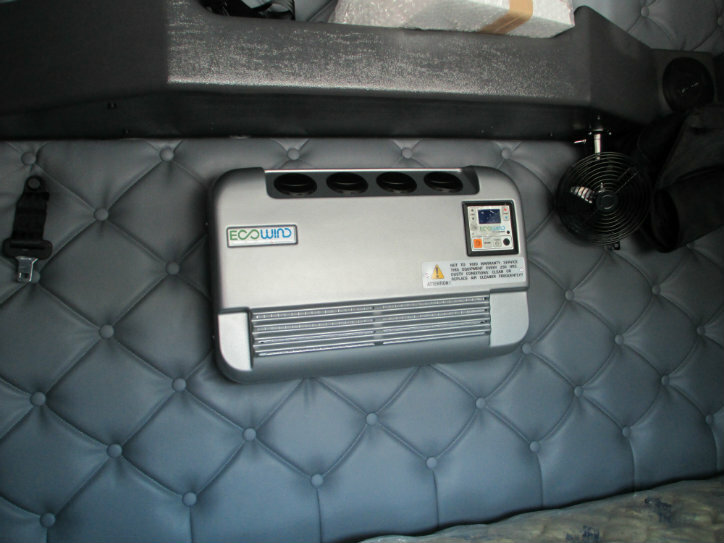 Both Systems have ancillary Batteries installed to Maximise efficiency & Run Time. 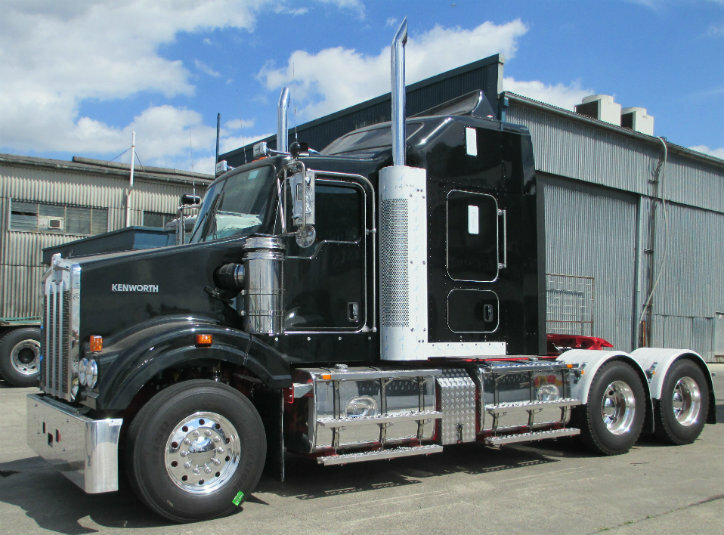 Hernes Freight service also took delivery of a K200 Cab Over earlier this year. Vehicle sold by Brown & Hurley Kyogle. 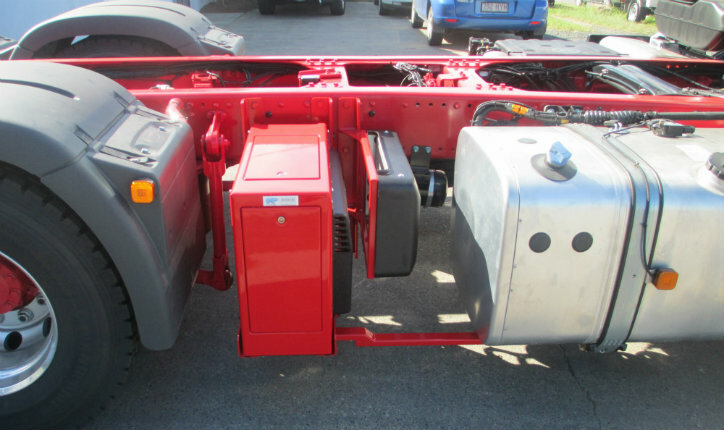 Briskair supplied & Installed a custom rear mounted Ecowind Fully automated system. 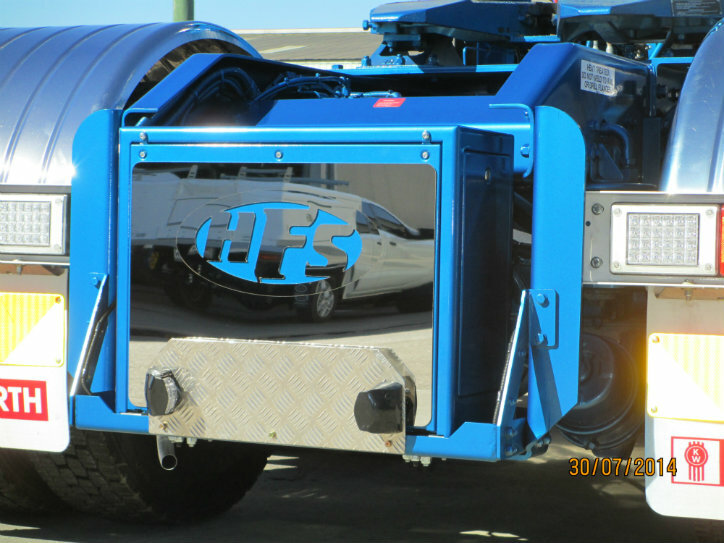 Dressed with the HFS stainless logo trim. 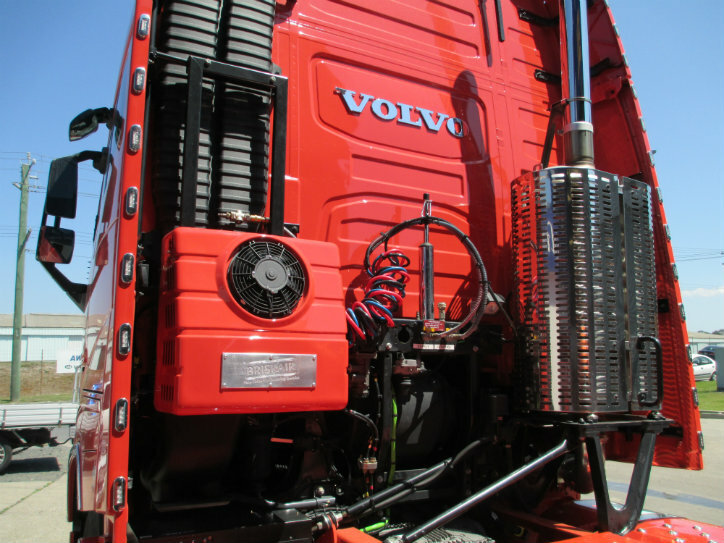 We also installed our Flag ship product for on Highway trucks, the Lubecore Single Line pneumatic automated lubrication system to the vehicle. 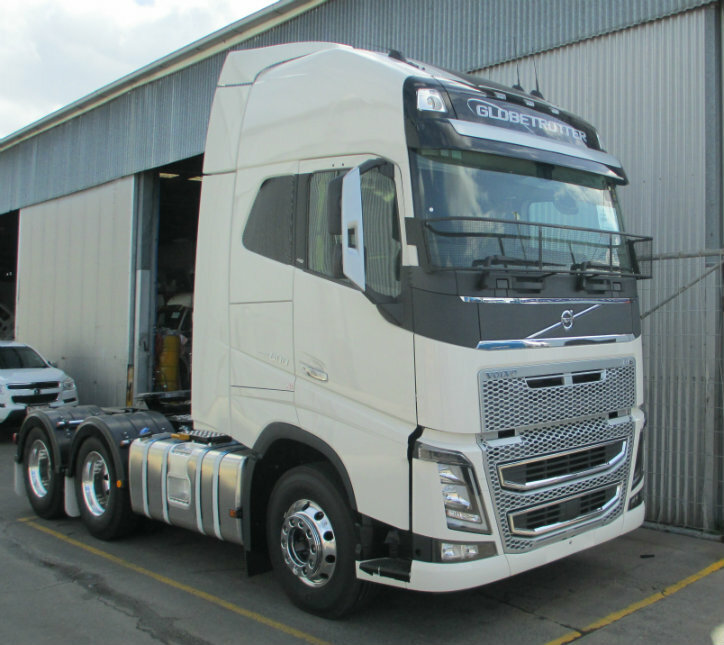 The truck looked fantastic on completion, Congrats again to Stuart and Staff from Hernes Freight Service. 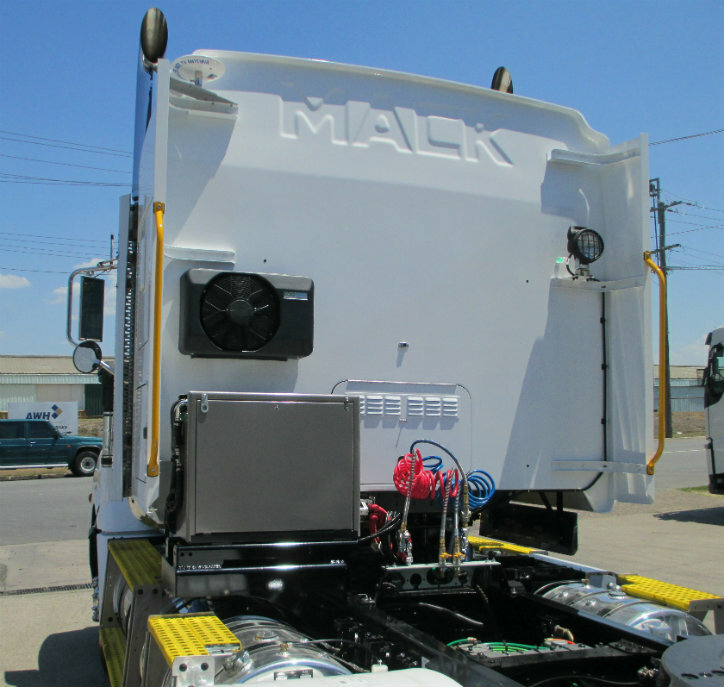 Origin Energy Took delivery of a New Mack Trident last month. 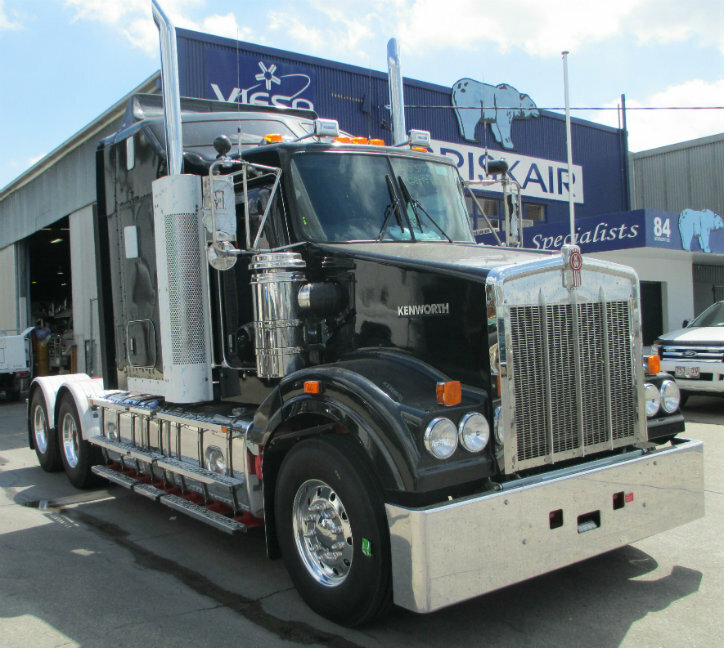 Sold by VCV Brisbane. 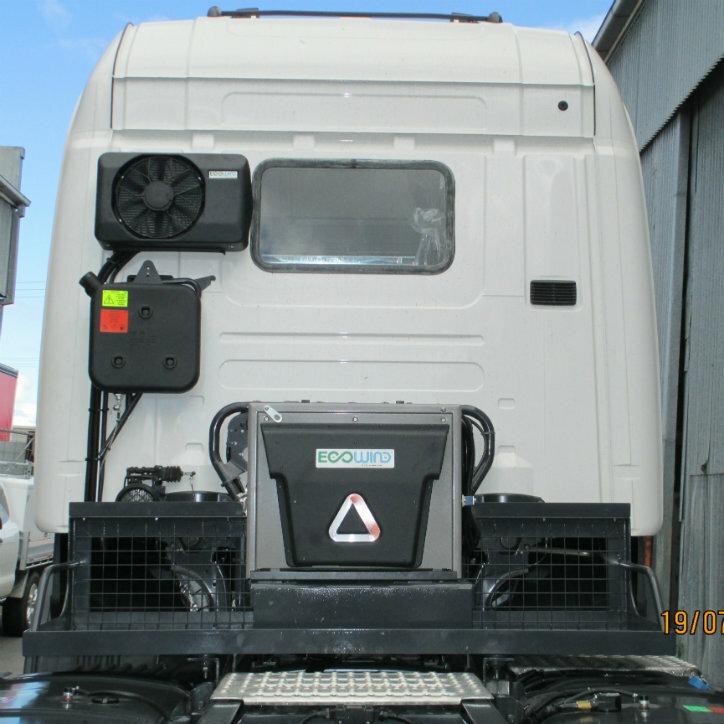 Briskair completed a full Custom install of an Above Tank mounted Ecowind, Dangerous Goods speced, Under sleeper bed mounted draw fridge and a 2000 watt inverter. 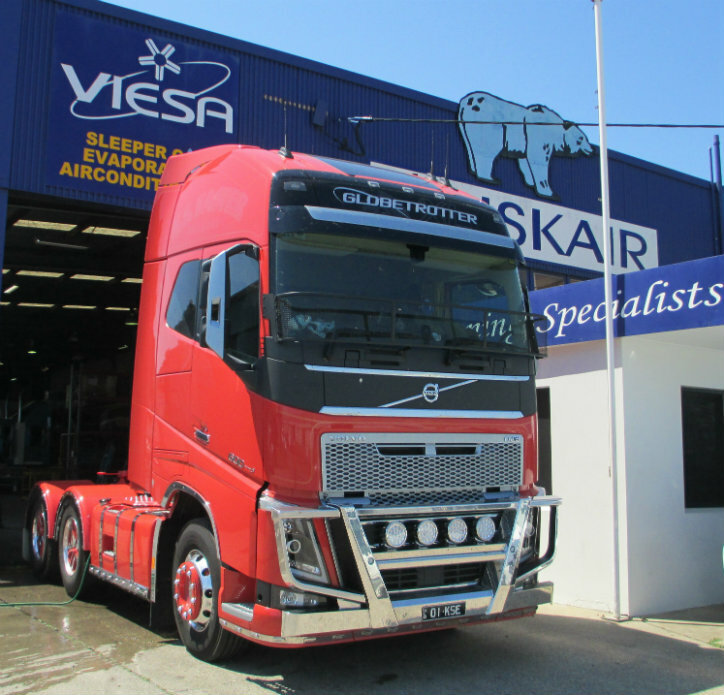 K.S.Easter took delivery of a New FH Volvo earlier this year. 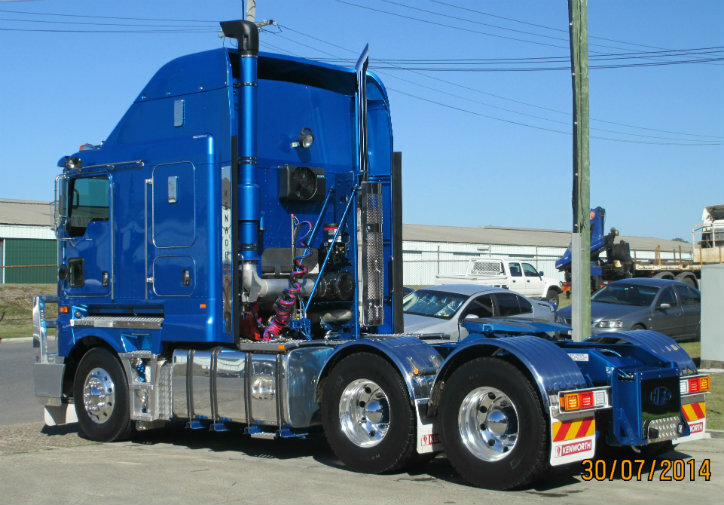 Vehicle Sold by VCV Brisbane. 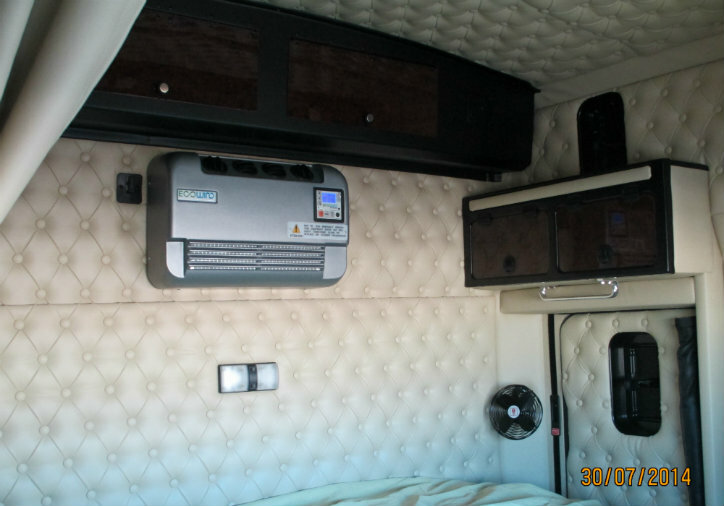 Briskair worked alongside Viking Mafia to Install a Customised 24v KoolKat Electric sleeper Cab a/c system. 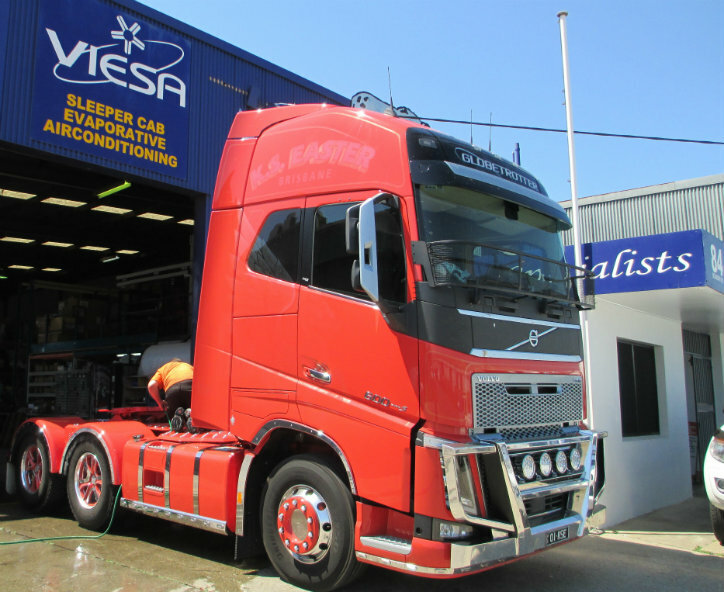 Jason & His team at Viking Mafia completed a full custom detailed spec to the Volvo, right down to the customised paint job. Great work Jason, the Vehicle looked fantastic on completion. 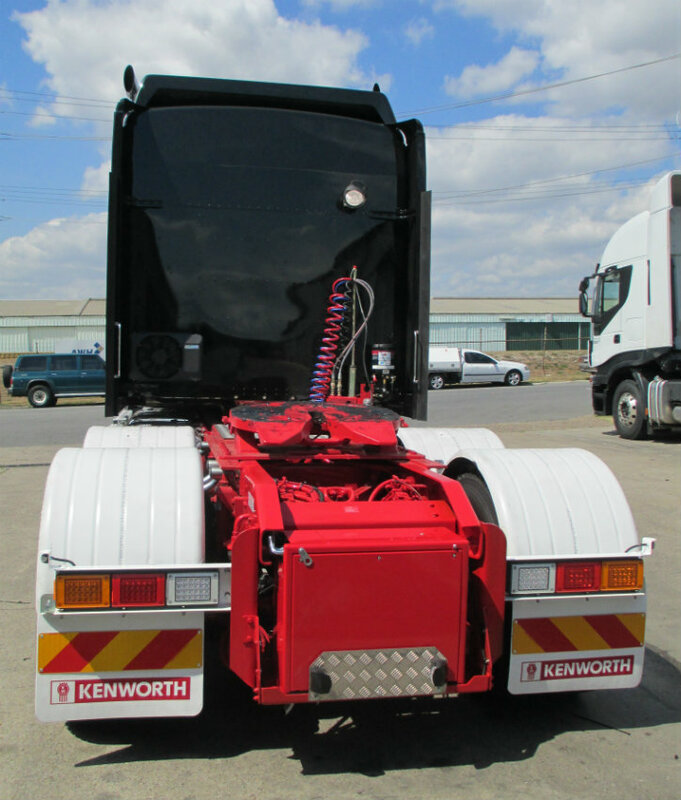 Briskair Supplied & Installed a Side Mounted Ecowind to This MAN Primemover. 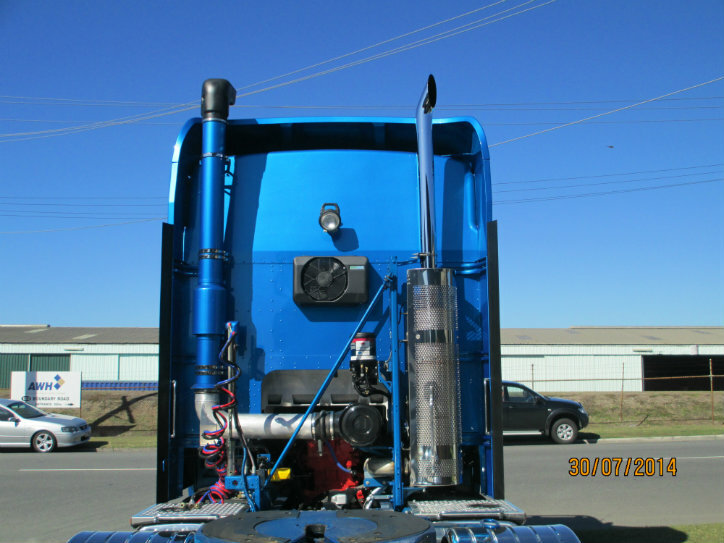 No room allocated for the condenser, so we custom mounted the unit to the side of chassis. 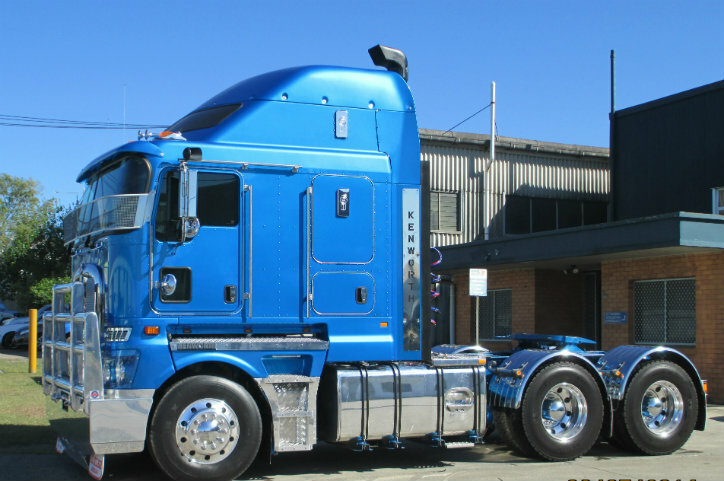 Vehicle sold by Brisbane Truck Centre. 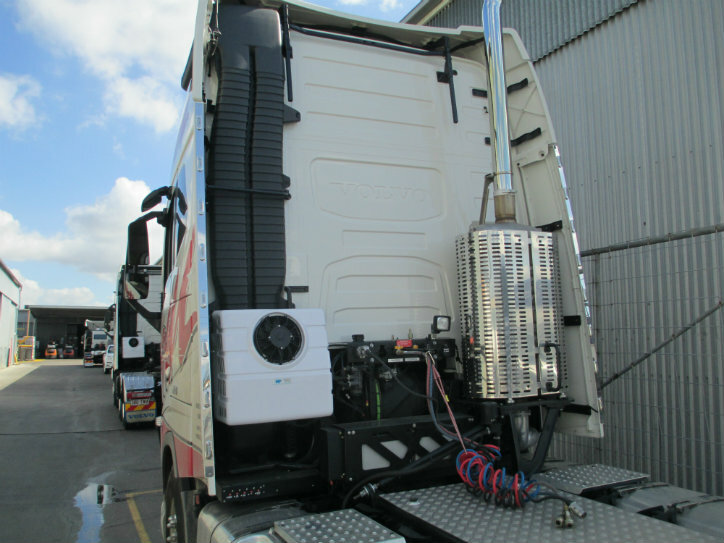 Briskair worked Tirelessly mid-year to complete 12 custom Ecowind installs for ITAC Australia & Scania Mining division. It was a tight turn around and very well managed by Scania’s Rene Vanoppen and team. 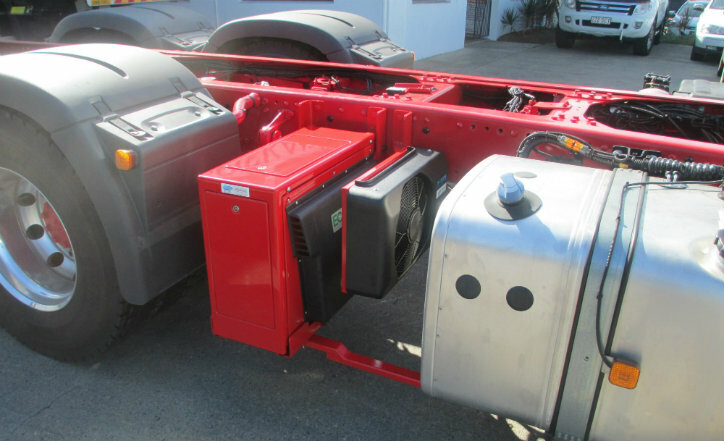 Each vehicle had a custom Heavy Duty walk plate frame manufactured by us, to mount the Ecowind and also a work platform & chain tray. 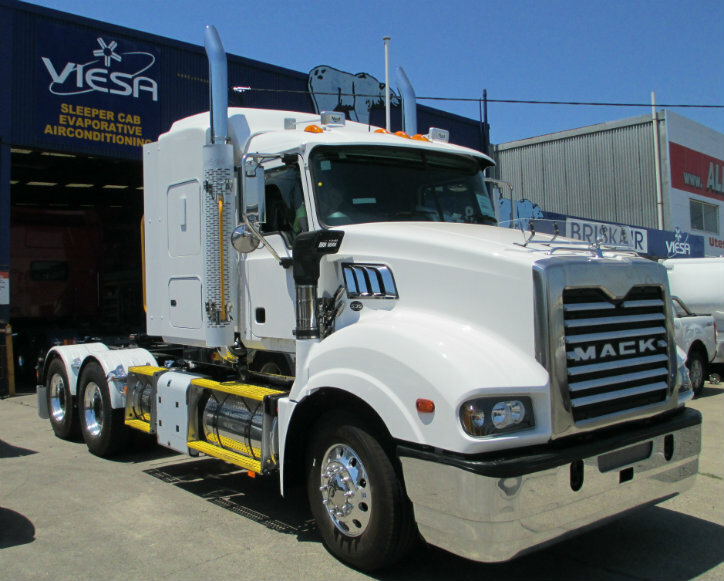 These vehicles will be working out at Moomba moving rigs in some tough country. 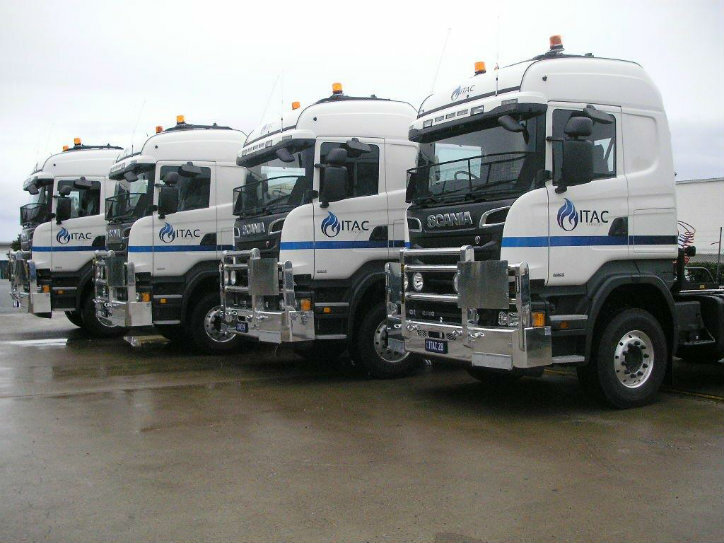 Many Thanks to ITAC & Scania Australia, for allowing us to complete the job.